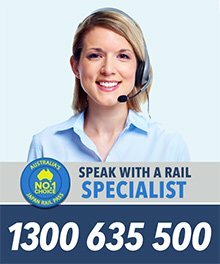 Travelling from Narita Airport to Tokyo is convenient and quick with the Narita Express. Fully covered by the Japan Rail Pass and requiring a seat reservation, the train can take you to central Tokyo in just an hour. 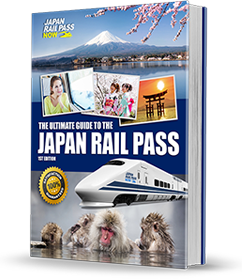 You can exchange your Japan Rail Pass voucher at the JR East Travel Service offices found at Terminal 1 and Terminal 2 at Narita Airport. Start your off-the-beaten-path adventure with a visit to Hanayashiki in Asakusa. The oldest amusement park in Japan, it is home to more than 20 rides and attractions, including the oldest roller coaster in the country. Take the JR Yamanote or Keihin Tohoku Line to Ueno Station and walk about 20 to 30 minutes. 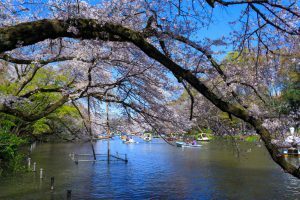 In the afternoon, go to Kichijoji, a town located to the west of central Tokyo, known for its many shops, department stores, cafes, restaurants, manga cafes and the Inokashira Koen Park, a great cherry blossom viewing spot. Take the JR Chuo-Sobu Line from Tokyo Station to Kichijoji Station, which takes about half an hour. For a refreshing and relaxing activity while in Tokyo, hike through the quiet and serene Todoroki Valley in Setagaya ward. Board the JR Keihintohoku Line to Oimachi Station (covered by the JR Pass) and then transfer to the Tokyu-Oimachi Line to Todoroki Station (not covered by the JR Pass; fare costs 200 yen). The whole one-way trip takes about 35 minutes. Cap the day off with a relaxing bath at a sento, which is a small public bath that offers only the basic amenities, a bathtub, and is the closest you can get to an authentic Japanese bath experience. There are several of these in Tokyo and one of the top rated ones is the Teikoku-yu, which is accessible via the JR Joban Line and is only a 10-minute walk from JR Mikawajima Station. To get to Takayama from Tokyo Station, board a Shinkansen headed to Nagoya Station and then transfer to the Limited Express (Wide View) Hida line to Takayama Station. The entire trip is covered by the JR Pass and takes 4.5 hours. Upon arriving in Takayama, go straight to the Higashiyama Walking Course, which is a 3.5-kilometre walking trail that passes through Teramachi (the city’s temple town), Shiroyama Park, several shrines and temples and the site of Takayama Castle. At 6:30 in the morning, Takayama’s two morning markets open for business, selling a variety of local farm produce, crafts and other products. Both are located only 10 minutes by foot from the JR Takayama Station. You can visit the Hida Folk Village next, with its more than 30 traditional houses constructed during the Edo Period. Also in the vicinity is the Hida Takayama Crafts Experience Center, a place where you can learn how to make ceramic glasses and cups, sarubobo dolls and other local handicrafts for souvenirs. Go to Kanazawa from Takayama by taking the Limited Express (Wide View) Hida train from Takayama Station to Toyama Station, and then a Shinkansen from Toyama Station to Kanazawa Station. 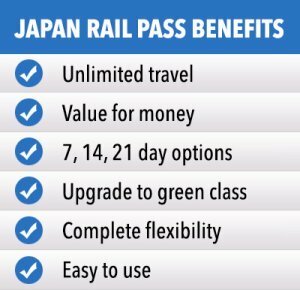 The entire trip takes 2 hours and 20 minutes and is fully covered by the JR Pass. 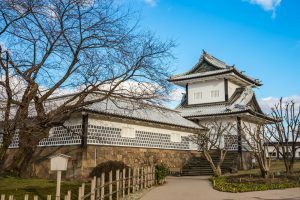 Once in Kanazawa, explore the perfectly-preserved samurai district of Nagamachi, which is home to the residence of the Nomura family, who held a top position during the Meiji Period. It also has a number of museums, shops and restaurants. Take the Limited Express Thunderbird train from Kanazawa Station to Kyoto. Fully covered by the JR Pass, the trip takes about 2 hours. Once in Kyoto, you have several options when it comes to off-the-beaten-path landmarks and attractions. 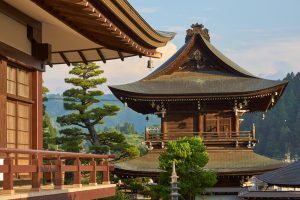 You can tour northern Higashiyama in the morning (Konchi-in Temple, Murin-an Villa, Honen-in Temple and Kochi-in Temple) and southern Higashiyama in the afternoon (Entoku-in Temple, Ishibei-Koji and Shoren-in Temple). The JR Nara Line provides a direct link between Kyoto and Nara. 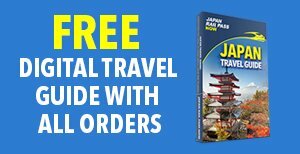 Using your JR Pass, the trip only takes about 1 hour, so a single day will give you enough time to check out many of Nara’s important landmarks, such as Nara Park, Todaiji Temple, Horyuji Temple, National Museum and Heijo Palace. Take the JR Sagano Line at Kyoto Station to Sagaarashiyama Station. 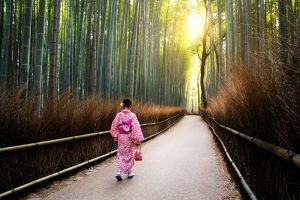 The Bamboo Forest is about 15 minutes away by foot. 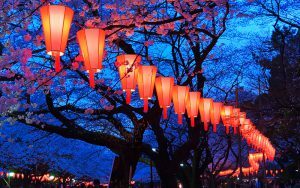 Other attractions in the area are the Tenryuji Temple, Togetsukyo Bridge and Okochi Sanso Villa. Also, take the Sagano Scenic Train tour to experience a seven-kilometre journey through the mountains, filled with breathtaking views of the lush forest and pleasant scenery. The Shinkansen trip from Kyoto to Hiroshima is about 2 hours long and fully covered by the JR Pass. It involves one transfer at Shin-Osaka Station. 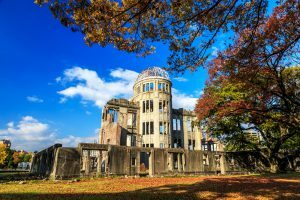 Once in central Hiroshima, you can easily access some less popular bombing-related sites (Honkawa Elementary School Peace Museum and Fukuro-machi Elementary School Museum), scenic areas (Hiyajima Park) and art and manga attractions (Hiroshima City Manga Library and Hiroshima City Museum of Contemporary Art). A day trip frequently recommended to tourists in Hiroshima, Miyajima is home to the Itsukushima Shrine, best known for its large, floating torii gate. It also offers some scenic hiking trails, particularly to the top of Mount Misen. Take the JR Sanyo line from Hiroshima Station to Miyajimaguchi Station and then board the JR ferry at the ferry pier nearby. The entire trip is covered by the JR Pass and takes about 1 hour. Hakone’s hot springs are some of Japan’s finest, so many locals and foreigners flock to this city all year round. 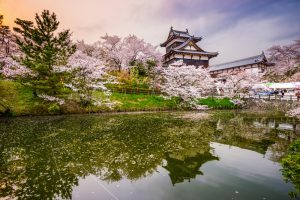 Furthermore, it is home to Odawara Castle, a 15th Century castle that offers historical exhibitions and a gorgeous garden of cherry blossom trees. From Hiroshima Station, take a Shinkansen to Shin-Osaka Station and then transfer to a different Shinkansen going to Odawara Station. 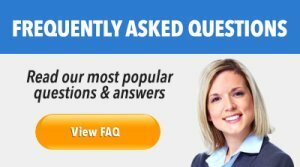 The journey takes about 5 hours and 20 minutes. 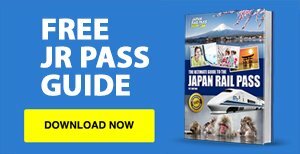 At Odawara Station, purchase a Hakone Free Pass (2-day pass costs 4,000 yen) for unlimited rides on all buses, cable cars, trains, ropeways and boats affiliated with Odakyu Railways in Hakone. 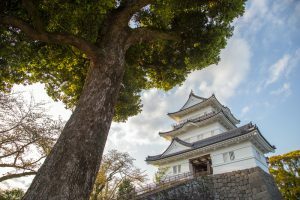 With it, you can explore as much of the area as you want, including the Hakone Shrine, Hakone Hot Springs, Open Air Museum, Odawara Castle and Owakudani. You can go back to Narita Airport by taking the Narita Express from Tokyo Station using your JR pass.